Be prepared...get ahead of the standard. Everything you need to know about tool tethering. 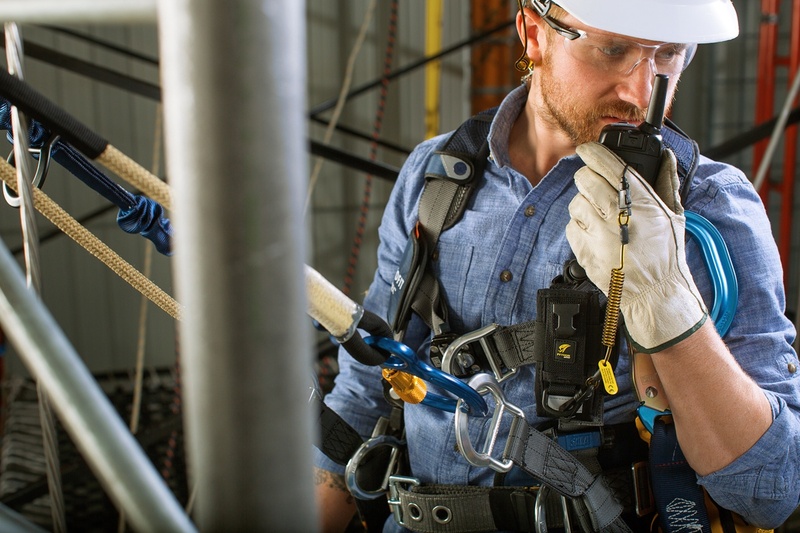 The International Safety Equipment Association (ISEA) and the American National Standards Institute (ANSI) have announced the the long anticipated "Dropped Objects Standard" has been approved. ANSI/ISEA 121-2018, American National Standard for Dropped Object Prevention Solutions. 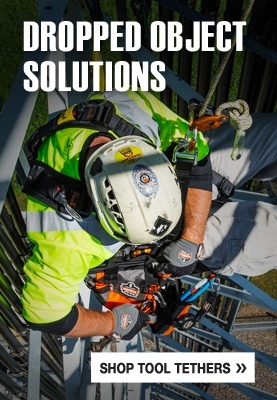 Protecting workers at-height takes more than just keeping them from falling. 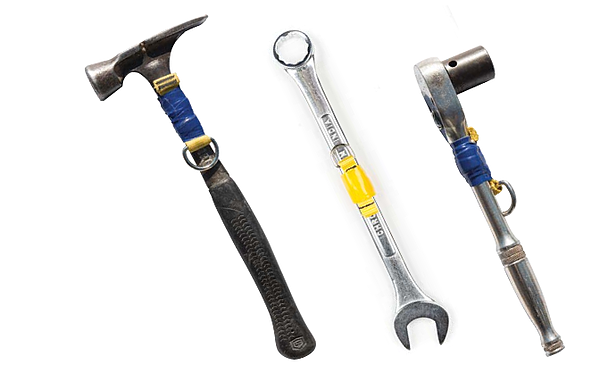 Their tools also need to be protected to prevent the potential dangers of falling objects at the job site. Similar to the ABC's of protecting workers (anchorage, body support, connectors). Dropped object prevention can easily be determined and remembered by referring the 3T's shared with us by our friends at Ergodyne. In dropped object prevention, there are basic “3T’s” used to categorize the active methods you can implement to prevent falling objects on the job. This term is used to describe the installation of attachment points on tools and primary anchoring locations. Anchor attachments should be installed onto a secure location and when applied to the individual are never meant for use with heavier tools. Industry Note: Just because something looks like it has a connection point, doesn’t mean it’s engineered to be one. Tool traps should never compromise the tool or use of it's primary function. Tool attachments come in a broad range of styles based on the tools they are intended to be used with and are available in one or two step applications. One-Step Tool Attachments: Tool “traps” that install with a limited application and are typically intended for more specific tools like: screw drivers, hex keys and wraps for power tools or tape measure traps. Two-Step Tool Attachments: Combine two separate solutions into one attachment. Tool Tails are applied directly to the tool and trapped with tape or shrink to secure them. The term used to describe the retention of tools and equipment to the anchor points that hold them. Most commonly through the use of a tool lanyard. 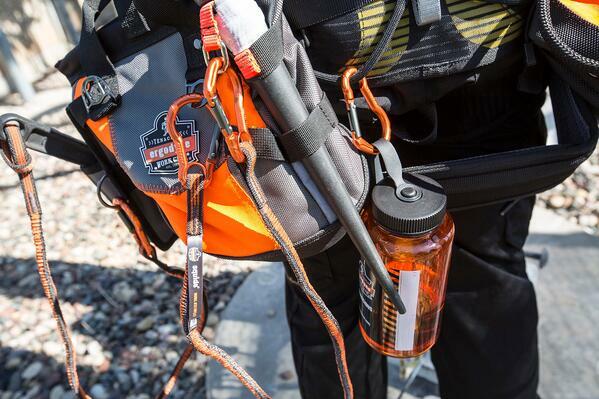 As tool tethering continues to evolve so do tool lanyard styles. Wrist Lanyards - minimize drop distances and snag hazards. Coil Lanyards - draw the length of the lanyard back keeping things neat & tidy. Retractable Lanyards - designed to avoid snags and hang-ups. Traditional Lanyards - the most common option to tether tools. The term used to describe the containers workers use to bring tools and equipment to and from heights. These containers, regardless of type, should have a secure top that can cover contents and prevent them from spilling if tipped. 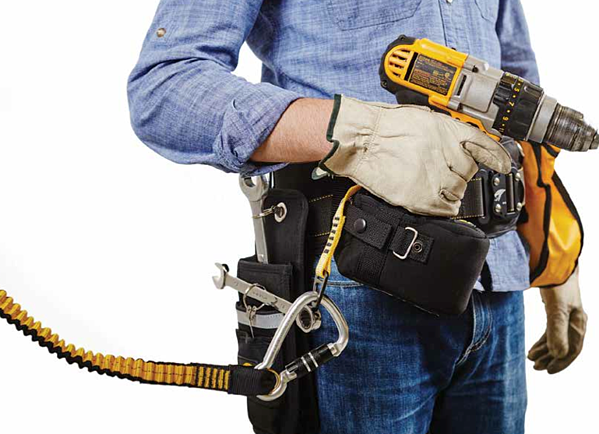 Tool Pouches & Bolt Bags - carried on the individuals to keep their tools at hand. Hoist Buckets - primarily used for lifting things to and from heights. No matter the type or mode of transportation these containers should have a secure closure, top or tethering points to prevent objects from falling if spilled. Need help seamlessly transitioning into a tethered workflow and selecting the basics you need to get started? Give us a call today at 402-434-5446 and one of our experienced staff professionals would be happy to help assist you! © 2017 Midwest Unlimited. All Rights Reserved.